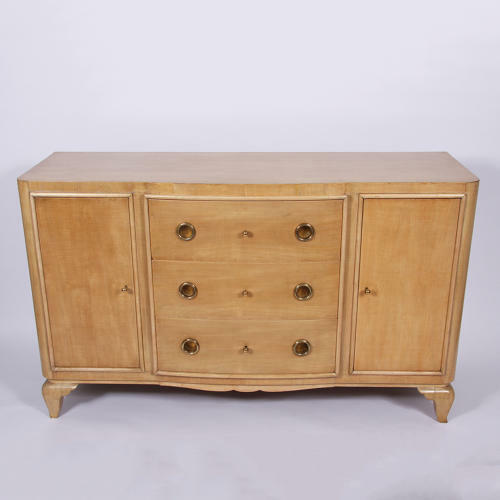 A beautiful sycamore sideboard made by Rinck, stamped with the maker's mark inside the top drawer: RINCK, 115 Frg St. Antoine, PARIS. Three drawers with the original working locks and brass keys. Cabinet doors also with original working locks and brass keys. Some wear consistent with this piece's age and use and some signs of careful restoration, as shown in the images.